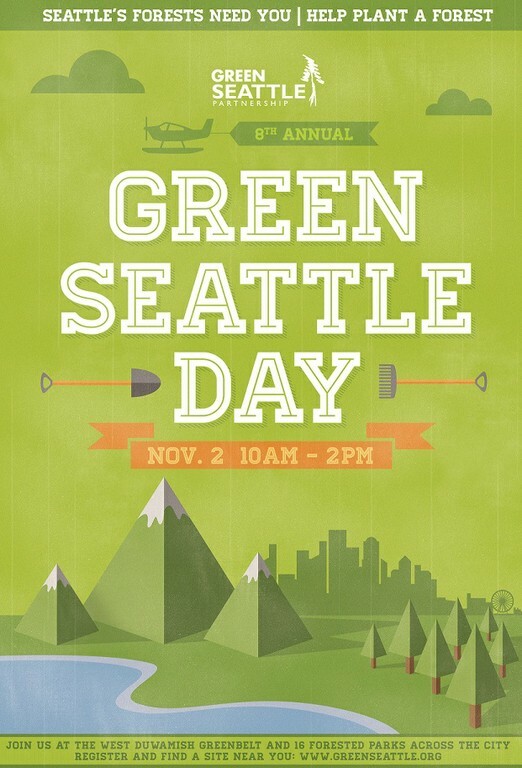 All are invited to help restore some of our local parks at the 8th Annual Green Seattle Day, Saturday, November 2 from 10 a.m. to 2 p.m. Volunteers will plant native trees and shrubs in 17 city parks, including Beacon Hill’s Lewis Park and the Cheasty Greenspace at Mountain View. Volunteers of all ages are welcome. Find out more and register to participate at the website: Lewis Park and Cheasty Greenspace. Volunteers should dress in layers and wear clothing that can (and probably will) get dirty. Bring a water bottle, lunch and rain gear. Gloves and tools will be provided. 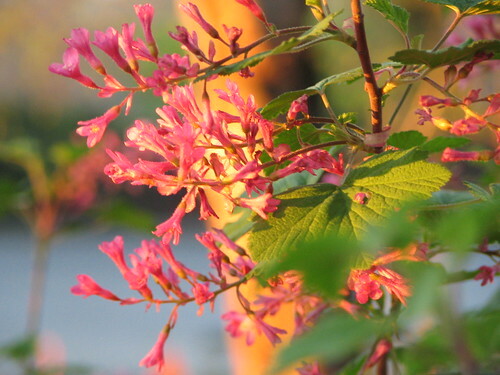 Flowers in the sunset light at Lewis Park. Photo by Wendi Dunlap/Beacon Hill Blog. Friends and neighbors of Lewis Park are invited to come see the community’s proposed park design and give your opinions while enjoying a cup of chili with cornbread. The event is Tuesday, January 29 from 5:30 to 8 p.m. at the Garden House, 2336 15th Ave. S.
All are invited to socialize and try the chili; you may bring your own to test your cooking skill! The top chili choice will be announced at the end of the evening. Parking for the Garden House is at the back of the building or on the street. If you’re interested in bringing chili, call Susan Sherbina at 206-322-1096 or email susanatsturgus@comcast.net. 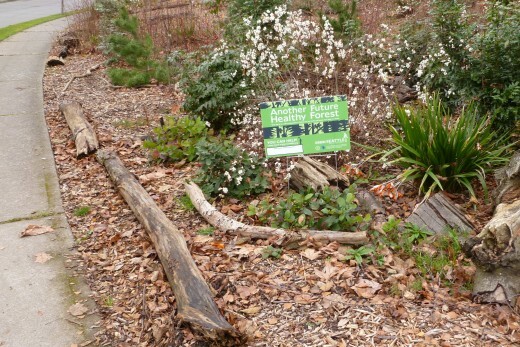 Plants grow happily in a cleaned-up Lewis Park. Photo courtesy of Friends of Lewis Park. Friends of Lewis Park are entering the 6th year of forest restoration of the Lewis Park Natural Area. In the Fall of 2011, the Opportunity Funds award paid for professional work crews to clear the steep slopes of Lewis Park. Once the forest of laurel and holly, ivy and clematis was removed, a beautiful topography was revealed. As a result of the hard work by many volunteers during the last five years of restoration, the illicit and criminal activity that once plagued Lewis Park has disappeared. Now that the area is open and accessible, we need to encourage positive activity in the park. In addition, the Lewis Park Restoration is in transition from a forest steward-led restoration project to long-term community-based stewardship. An Interpretive Trail will be a great way to both foster that transition and provide a way to create positive activity within this beautiful Natural Area. We want to create a trail that will reflect the many cultures on Beacon Hill in a way that introduces and educates our community of the values and benefits of having an urban forest in our neighborhood. Our goal is to hire a landscape architect with the funds to design the bones of the trail and, then engage our community to provide the content of the natural area interpretive focus. YOUR PLEDGE MUST BE RECEIVED BY FRIDAY, MARCH 9 IN ORDER TO INCLUDE IT IN OUR GRANT PROPOSAL. Lewis Park work parties will be on the first and third Sundays of each month through November. Judith Edwards of the North Beacon Hill Council and City Council member Sally Bagshaw have a discussion at last Saturday's People-Powered Park Parade. Photo by Dan Bennett in the Beacon Hill Blog photo pool. I was very sad to have to miss last weekend’s People-Powered Park Parade in which neighbors on bicycle and foot toured the proposed bike boulevard on 17th and 18th Avenues S., and celebrated the 100th birthday of Lewis Park. Though the weather wasn’t perfect, the rain stayed away, and those who were able to attend report that it was a lovely celebration. It was a two-fold community celebration. The Friends of Lewis Park and Beacon Bikes joined forces with the City of Seattle, Department of Neighborhoods, North Beacon Hill Council and Green Seattle Partnership in sponsoring the People Powered Park Parade and celebration of four years of restoration of Lewis Park Natural Area. 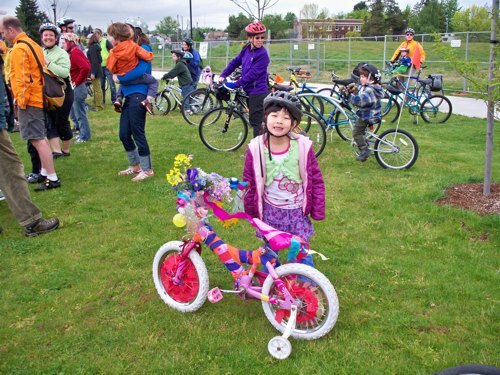 The colorful bike parade was in celebration of the vision of a kid-friendly bicycle and pedestrian path connecting our Seattle Parks with safe and enjoyable neighborhood greenways. An estimated (I didn’t count) 50 or more bicyclists of all ages departed the Jefferson Park playground and rode the proposed path to Lewis Park to the north. Upon arrival the riders and walkers (who seemed to double in numbers) were greeted by the Friends of Lewis Park and several dignitaries from the City of Seattle. Two of the more popular neighbors were Jay Hollingsworth and J.J. Lund. People lined up and down the block to meet them as they flipped the burgers and dogs and stirred the chili. Director Dee Dunbar introduced several dignitaries that included Seattle Mayor Mike McGinn. Each of them shared a similar message of congratulations to the citizen volunteers who are providing the many hours of hands on labor to achieve the goal of restoring the Lewis Park Natural Area to a beautiful, family-friendly environment. They expressed great appreciation to citizens of the neighborhood who are making it happen. They also recognized the grants awarded to the project were really quite small when compared to the investment of time and work of the citizens of north Beacon Hill. This is certainly not an official report but rather an observation from a long time citizen of north Beacon Hill. Kat Marriner posted her take on the day’s events, with photos, on the Yellow Tent Adventures website. City Council member Sally Bagshaw also blogged about the event. City Council member Sally Bagshaw and others on the People-Powered Float. Photo by Dan Bennett. Mayor McGinn meets Beacon Hill neighbors. Photo by Dan Bennett. Bikes brightly decorated. Photo by Observer. Cyclists wait to cross Spokane Street. Photo by Dan Bennett. This Sunday, May 29, Lewis Park has the honor and privilege of hosting 18 professional delegates from 15 African nations. This special group has been selected by the U.S. Embassy in their respective countries to participate in the Department of State’s International Visitor Leadership Program. The World Affairs Council of Seattle will be hosting the delegation as they experience “Grassroots Democracy in the U.S.” in action. Why: Share your stories and thoughts on volunteerism with leaders from around the world! To RSVP for the event, please visit this link and locate “Lewis Park Restoration” on the Volunteer Calendar list. Then, click on the “Sign Up” button to register. This is a free event and people of all ages are welcome to attend. The Friends of Lewis Park will supply gloves, tools, coffee, and snacks. As mentioned previously, the People-Powered Park Parade and Lewis Park Celebration is this Saturday, May 21. 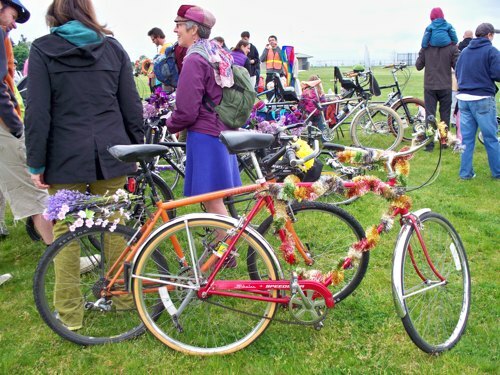 The PPPP is a bike and walk parade that will tour the proposed bike boulevard on 17th and 18th Avenues S., and celebrate the 100th birthday of Lewis Park. You can see the parade route here. Here is the event timeline; come for the entire event, or just part of it, if you prefer. *Due to limited seating, it is advised that you bring a blanket/something to sit on to Sturgus Park. This event is organized by Beacon Walks and Bikes and Friends of Lewis Park, and funded in part by a Neighborhood Matching Fund award from the Seattle Department of Neighborhoods. For more information, contact Dee Dunbar at dd1377@gmail.com or Dylan Ahearn at dsahearn@gmail.com.